When a magnet is dropped down a metallic tube, the changing magnetic field created by the falling magnet pushes electrons around in circular, eddy-like currents. These eddy currents have their own magnetic field that opposes the fall of the magnet. The magnet falls dramatically slower than it does in ordinary free fall inside a nonmetallic tube. Hold the metal tube vertically above a table and drop the magnet through the tube. Then drop a nonmagnetic object, such as a pen or pencil, through the tube. Notice that the magnet takes noticeably more time to fall. 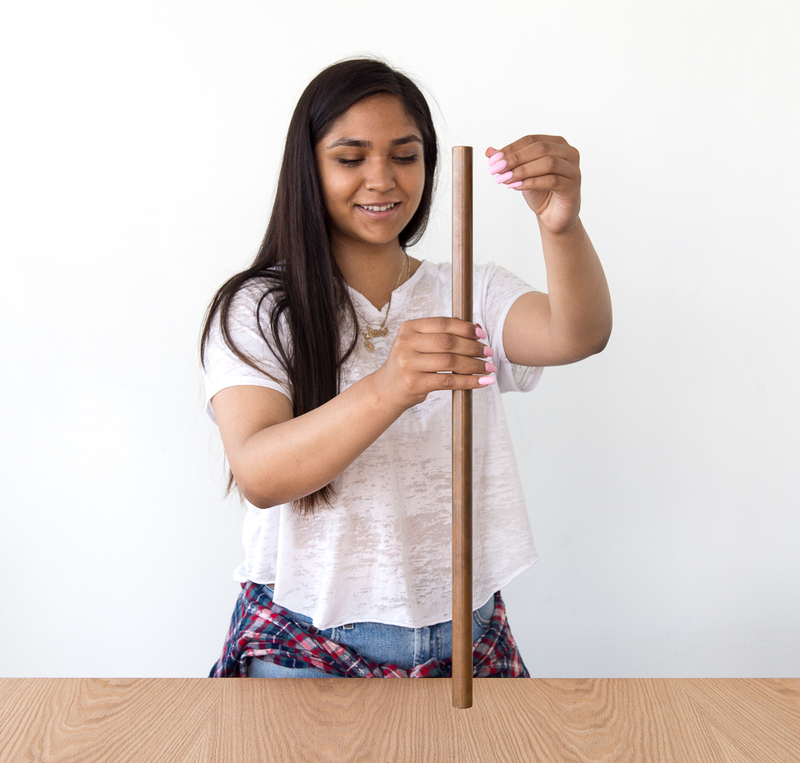 Now try dropping both magnetic and nonmagnetic objects through the PVC tube. As the magnet falls, the magnetic field around it constantly changes position. As the magnet passes through a given portion of the metal tube, this portion of the tube experiences a changing magnetic field, which induces the flow of eddy currents in an electrical conductor, such as the copper or aluminum tubing. The eddy currents create a magnetic field that exerts a force on the falling magnet. The force opposes the magnet’s fall. As a result of this magnetic repulsion, the magnet falls much more slowly. Eddy currents are often generated in transformers, leading to power losses. To combat this, thin laminated strips of metal are used in the construction of power transformers, rather than making the transformer out of one solid piece of metal. The thin strips are separated by insulating glue, which confines the eddy currents to the strips. This reduces the eddy currents, thus reducing the power loss. With high-strength neodymium magnets, the effects of eddy currents become even more dramatic. These magnets are available from many scientific supply companies and the price is relatively affordable. Eddy currents are also used to dampen unwanted oscillations in many mechanical balances. If you have access to a balance, look to see if there is a thin metal strip that moves between two magnets. Magnets can affect things that aren’t magnetic.